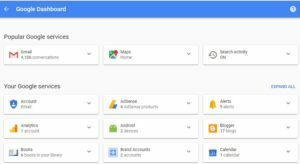 Google On September 8, 2017, Announced To Re-Design Google Dashboard With Mobile Optimize Design. New Update To Dashboard Is Now Live For Users On Mobile As Well As On Desktop. Previous To This, Google Dashboard Site Design Was Optimize Only For Desktop Users. There Was No Mobile Version Of Google Dashboard. Now, A Large Number Of Users Use Mobiles Instead Of Computer, Laptop. That’s Why, Google Dashboard Revamp With Mobile Optimize Design. 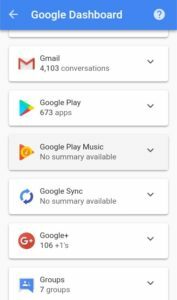 You Can Now See The Snapshot Of All Google Services You Use On Your Mobile Device. You’ll See A Brief Information Of That Google Product, Tap On Three Dots And You’ll See Download Data Option. You Can Easily Visit Main Settings Of That Product When You Expand It And Tap On Three Dots. Popular Google Services-Includes Gmail, Google Maps, And Search Activity. Expand Search Activity To See Google Search History. Tap On Three Dots, And You Can Easily Move To Search Settings, Download Search Data. Your Google Services-Includes All List Of Google Products That You Are Using. Expanding A Particular Google Product Shows You A Brief Detail Of It. For Example- If You Expand Gmail Then You Will See Data Like- Total Emails, Sent Emails, Chats. Your Activity Data-This Section Provides Control To Users To Turn On Or Off Various Activities Recorded By Google Like Searches, Voice Or Audio Files And Location History. You Can Easily Move To Settings To Turn On/Off By Taping On Three Dots. To Manage Google Activity i.e. 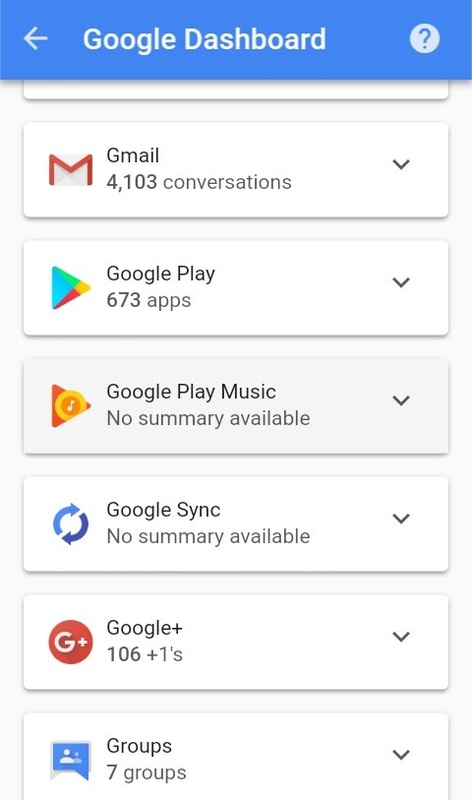 See Searches, Audio- Google My Activity, Activity Controls. Visit Myaccount.google.com/dashboard, Sign In With Your Google Account To See Changes.